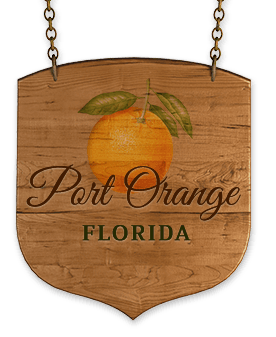 The City of Port Orange, FL maintains a population of over 57,000 citizens. With a Clerk Department of four staff members, a City Council of four plus the Mayor, 18 boards and committees, and over 1,000 meetings per year, the City of Port Orange has significant amounts of agendas, meeting minutes, and transparency documents to manage. The City needed an agenda and meeting management solution that could be easily adopted by staff, that would integrate with its existing systems, and that was affordable. To fulfill its needs, the City chose BoardSync, now CivicClerk®, part of the CivicPlus®, integrated technology platform for local government. Robin Fenwick, City of Port Orange City Clerk, and her team used to spend hours each week compiling the necessary meeting packets, chasing down paperwork that needed to be signed, and handling other aspects of the agenda management process. Robin Fenwick, City of Port Orange City Clerk, and her team used to spend hours each week compiling the necessary meeting packets, chasing down paperwork that needed to be signed, and handling other aspects of the agenda management process. Fenwick estimates that handling the meeting process required eight or more hours per week—time that could have been better spent serving the public rather than standing in front of the copy machine or working on other mundane document management tasks. Fenwick quickly recognized the need for a meeting management system to automate the time-consuming tasks of routine agenda management. After reviewing the various agenda management platforms available, Fenwick chose CivicClerk. She found the platform to be more affordable than others, without suffering any compromises. In October of 2014, Fenwick decided to use CivicClerk to manage the process for one meeting. By February of 2015, all of Port Orange’s meetings were being managed through CivicClerk. After the successful migration to CivicClerk, all the City’s staff members quickly took to the new platform. Why? Because the CivicClerk agenda and meeting management system proved to be extremely easy to use, and the benefits were immediate and obvious. Fenwick and her staff ended up saving eight-plus hours of labor per week and were able to facilitate documents being signed, and meeting agendas being completed in a timelier fashion. Such efficiencies allowed the Port Orange Clerk’s Department to focus on better serving citizens and other strategic initiatives. CivicClerk saved Port Orange significant dollars compared to the other agenda management providers available. All staff members quickly learned and adopted the easy-to- use CivicClerk system. Remote system access improved workflows, reviews, and allowed tasks to be completed more quickly. Agendas were posted an average of six hours earlier, giving members more time to prepare for meetings. For more information on CivicClerk from CivicPlus, or to see this powerful agenda and meeting management system in action, click below to register to attend a live webinar demo.